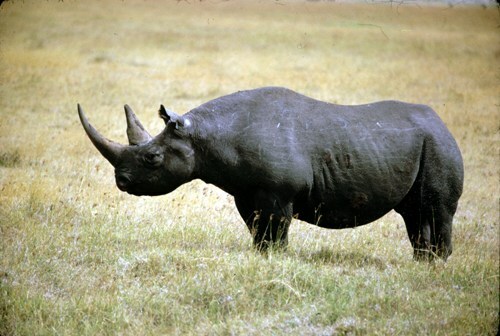 Black rhinos are native to Namibia, Cameroon, Tanzania, Kenya, Zimbabwe, Angola and South Africa. Actually, Africa is also a home to white rhinos. They are different from the black rhinos. The black rhinos have the hook lips. On the other hand, the white rhinos are the square lipped rhinos. 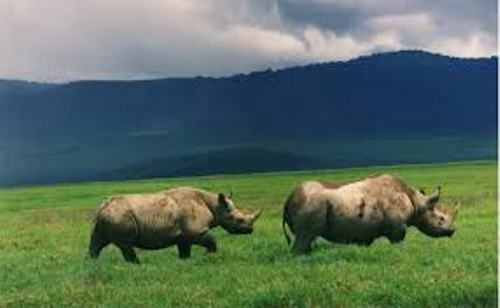 The rhinos are included as the critically endangered species. In 2011, IUCN included the western black rhinos as extinct animals. Let’s find out the weight of black rhinos. It has the weight around 1,800 to 3,100 lbs or 800 to 1,400 kg. The male black rhinos have bigger body than the female counterparts. The height of black rhinos has the height around 55 to 71 inches or 140 to 180 cm. 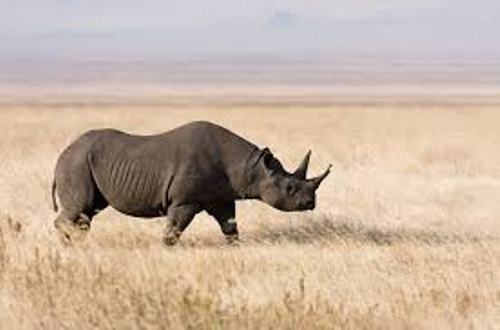 It has the length around 9.8 to 12.3 feet or 3 to 3.75 m.
Black rhinos are famous with their horns. The length of the horn is around 20 inches or 50 cm. There are two horns are located on the skull. They are made of keratin. The longest horns ever found on black rhinos have the length around 4.9 feet or 1.5 inches. Check facts about black mambas here. Can you mention the function of the black rhinos’ horn? Both are used to dig up roots, defense mechanism, break branches or even intimidate others. 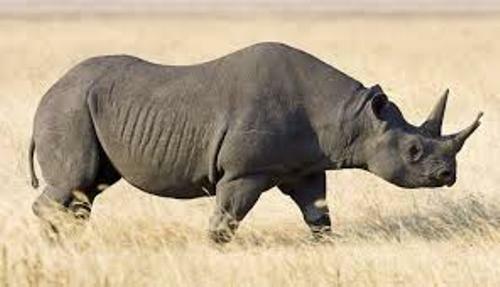 The white rhinos have bigger body if you compare them with black rhinos. Moreover, the white rhinos have closer relation with the Javan rhinos from Indonesia. Get facts about Black Panther here. The differences of black rhinos and white rhinos can be seen not only from the body size, but also from the skull and ears. The position of the head of white rhinos is shorter than black rhinos. 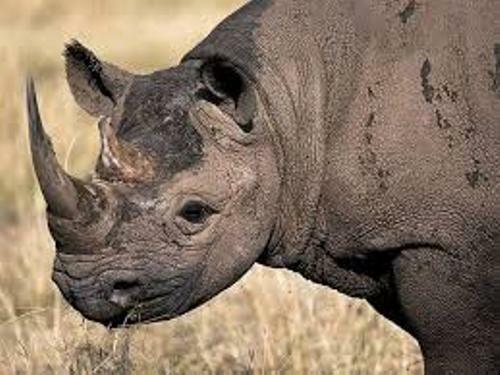 Do you have any comment on facts about black rhinos?